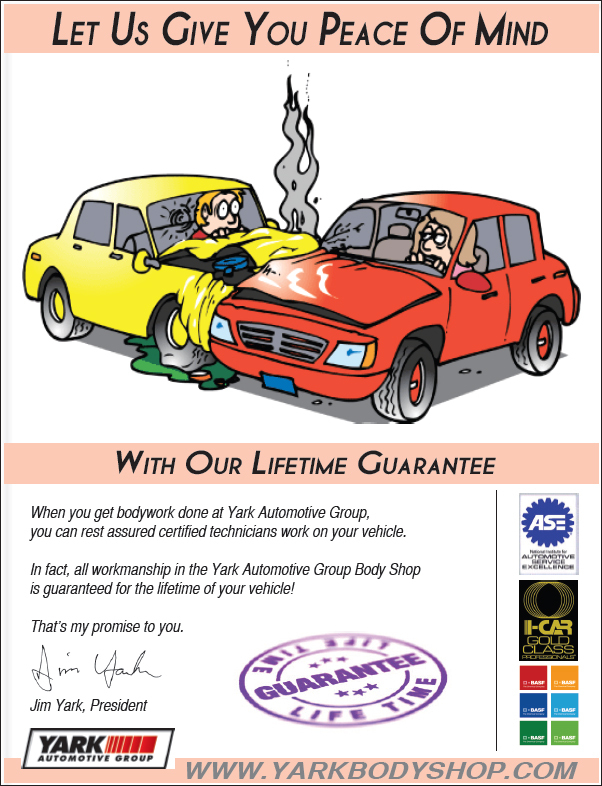 Yark Collision Center is proud to present to you our service guarantee — all body work provided by our certified technicians has a lifetime warranty! This guarantee is a testament to the skill and dedication of our factory-trained, I-CAR- and ASE-certified technicians. Since 1981, the Yark Automotive Group and Collision Center has provided an appreciated service to the people of Ohio and we would be glad to have you come through our doors. Want to know how we are confident enough in our work to make this guarantee? Read more about the Yark Collision Center repair process and why you can trust Yark Collision Center.